Coffee with Tea or Yuanyang is a popular beverage most commonly drunk in Hong Kong, which is a blend of Coffee with Chinese style Milk Tea. An Ethiopian equivalent is known as Spreeze, from which our latest collaboration with Evil Twin takes its name. Summer Spreeze is a 3.8% Pale Ale with infused Coffee and Jasmine Green Tea. For coffee we turned to the superb Tamp Culture in Reading, who have sourced Kilenso Mokinisa. This coffee comes from the town of Hagere Mariam in one of the most famous producing regions in all of Ethiopia, it offers perfumed and floral aromatics and apricot/peach notes in the taste. We've paired the coffee with Jasmine Green Tea for a fresh, floral blend. Originally we had planned to use only Jasmine Flowers, but every route we could think to source them drew a blank; it turns out that there is currently a national shortage! This beer will be exclusively available in The Craft Beer Co pubs on both Keg and Cask (locations in Brighton, Brixton, Clapham, Clerkenwell, Covent Garden and Islington). 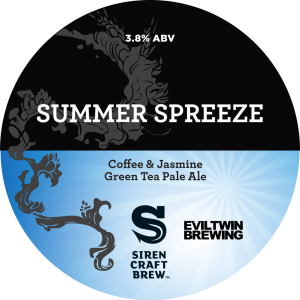 To celebrate the launch of Summer Spreeze there will also be a Siren Craft Brew vs Evil Twin tap takeover at The Craft Beer Co Clerkenwell. 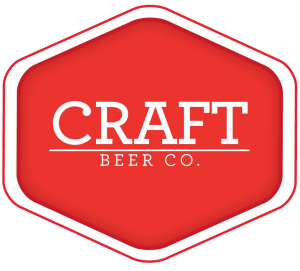 Each brewery with have 10 beers on tap along with the new collaboration itself. We hope to see you there, catch all the build up on the Facebook Event Page.